. . . a place for joy, and a place for sorrow. 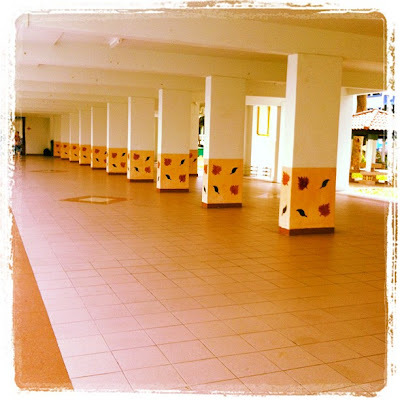 A void deck is typically found under apartment blocks in Singapore. The void deck occupies the ground level, while apartments are usually on the second floor onwards. Void decks are a space for community mingling and functions are often attended by neighbours across the ethnic spectrum. Sometimes, events like Malay weddings, Chinese weddings or funeral wakes are held in such places. Most void decks also have bicycle racks, benches, and recreational tables for residents’ use. It is common for void deck tables to have either a xiangqi or checkers board carved on them. Void decks also facilitate the travelling through the apartment buildings on the ground level, rather than travelling around them.